San Francisco… the Paris of the west, as many describe it, is one of the most desirable cities to live in in the United States. 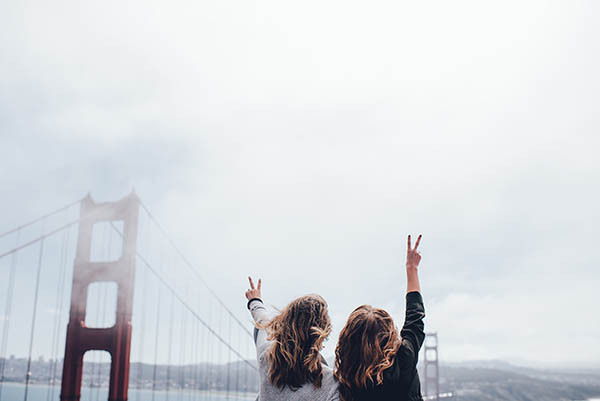 If you’ve decided to relocate your residence to this special town, here are some things you should know before making an international moving to San Francisco. The climate and routine weather in San Francisco feature a kind of constant season, which spreads upon months and months. How do we mean? Well, the days are characterized by very pleasant temperatures while the nights are a bit chilly. Another interesting feature this beautiful city presents is a kind of constant fog which descends upon the city as the horizon gets a little thicker late in the afternoon. So, if you are planning an international moving to San Francisco you should take that parameter into consideration, as some of you might have trouble getting used to such weather. You should also be aware of unexpected temperature changes that can catch you off guard while hopping from one neighborhood to another, as temperature drops and the wind gains speed when the fog comes. In spite of the fact that San Francisco is one city, its neighborhoods are so different from one another that you can actually feel you are experiencing a different city in each neighborhood. Each neighborhood has its own special feeling and character, so before making that international moving to San Francisco, find out which district is more suitable for you and your preferred lifestyle. Although the neighborhoods are different the ecological norms are constant and standard. San Francisco is a recycling endorsing city, and so you need to get used to the concept of recycling all of your personal trash, all the time. The streets are packed with separable trash cans which are designated to accommodated different materials, and the businesses also contribute to this routine of recycling as they place recycling bins all around. Keep in mind that even if your current life routine in your home country is not recycling-oriented, you need to get accustomed to it fast if you want to fit in San Francisco and avoid getting a ticket. From a professional point of view, this city is high tech promoting, so if you are about to make an international moving to San Francisco and into high tech, this is the place for you.